Most corporate retreats and seminars focus on career development and networking. While important, these two elements are pieces of a larger puzzle in which personal development and team-building also play a role. 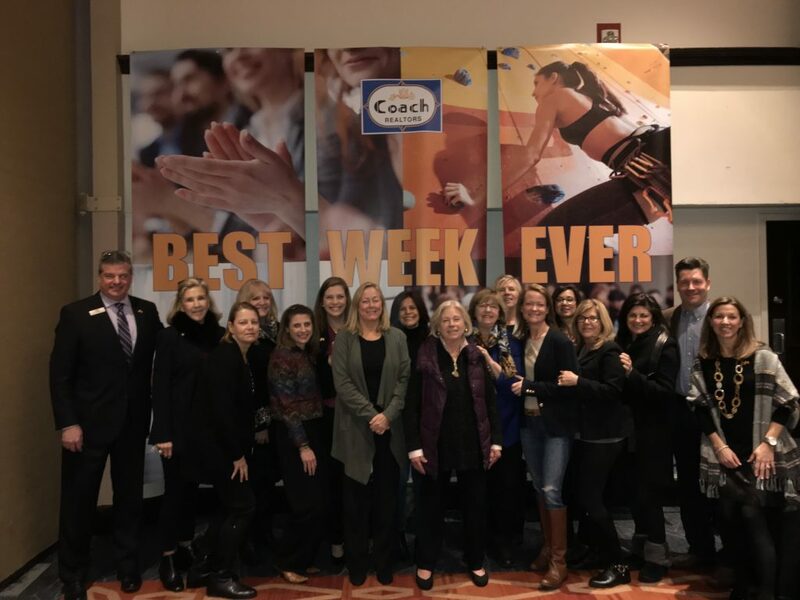 And that's exactly what Coach Realtors® decided to focus on during this year's outing, titled the Best Week Ever—a five-day series of events for Coach sales agents throughout Nassau and Suffolk counties of Long Island, N.Y., that focused on three fundamentals: body, mind and career. "It seems like all companies host a ‘kick-off event’ or meeting to start the year, we have done this too, but engagement from the sales agents is low and meetings can be perceived as boring or stale," says Lawrence P. Finn, III, COO of Coach Realtors, family-owned since 1954. "Meetings don’t always appeal to the entire workforce. Each person has a different idea of what's fun and worthwhile. Also, our firm covers about 60 miles from east to west across two counties of Long Island. Having events at different locations across two counties allows more people to take part." The festivities kicked off on February 5 with a presentation entitled "Become a Listing Machine" by Darryl Davis, motivational business speaker and coach. "Monday morning's 'Become a Listing Machine’ was attended by 250 agents. The 16 other events had groups ranging in size from 40 to just 10 for the escape room nights. Overall, there were 980 registrants/attendees across all events," says Finn. 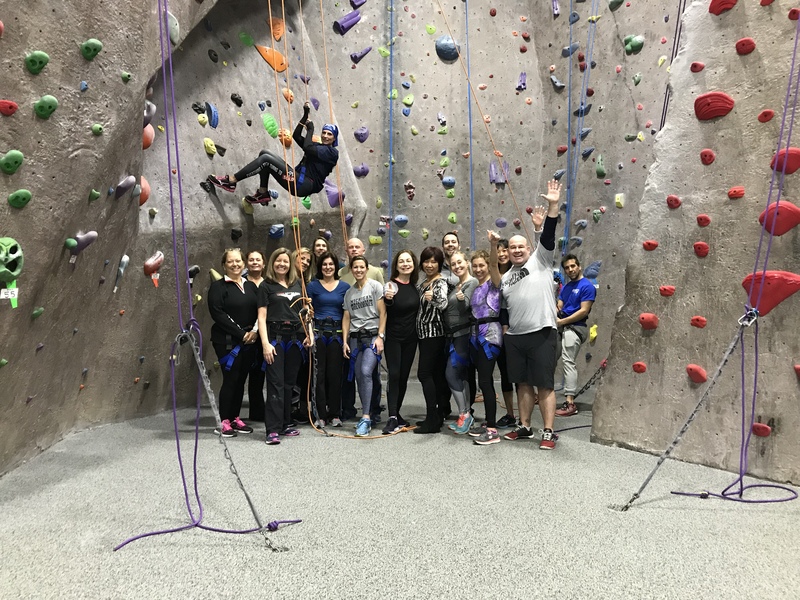 The events blended relevant career development courses, such as financial planning and videography tutorials, with team-building activities ranging from paint nights and escape-room sessions to fitness classes like yoga and rock climbing, which was Finn's favorite activity. "I was amazed and surprised by the athletic ability and determination of the agents," says Finn. The events finished off with an awards dinner at Oheka Castle, followed by a breakfast the next morning with keynote speaker Gary Guller, world-renowned mountaineer and motivational and inspirational speaker. "Our keynote on Friday at the inspirational breakfast, Gary Guller, was the showstopper. He spoke for 45 minutes and had the crowd captivated," says Finn. "His message of teamwork, trusting in others and overcoming adversity with the help of others was so powerful. Gary talked about making it to the top of Mount Everest, and while he got the recognition, it was with the help of literally thousands of individuals that got him there." The objective? To go beyond the traditional corporate seminar by appealing to a variety of personalities while also fostering a deeper corporate culture. "The goal was to have fun while improving body, mind and career—so, yes, we did accomplish our goal. More importantly, we wanted to enhance our company culture and provide a platform for outbound messaging to agents at other brokerages," says Finn. The results? A stronger team with renewed energy and a sense of solidarity. "This was a prototype, and when we created the schedule, we were unsure of what the response may be. We were thrilled by the overwhelming engagement; each event was sold out. I feel our Best Week Ever will become an annual event at Coach Realtors," says Finn. "A brokerage has to keep innovating and this is just one of the ways we are trying to keep real estate fresh and fun." To promote Best Week Ever, the Coach Realtors management team got together during the weeks before and after the event and reached out to agents at other brokerages through social media, text messaging and email. "The messages helped to impress upon the local REALTOR® community that Coach Realtors is having fun and creating a vibrant workplace," says Finn.